Gifts from corporations or foundations can provide critical support for our efforts to advance innovative research and patient care at UPMC Hillman Cancer Center. Foundations or corporations may provide support for specific initiatives or make gifts that are unrestricted for cancer research or patient care — gifts that will support our most pressing needs and allow us the flexibility to expedite our pursuit of new clinical or scientific priorities. For additional information about a foundation or corporate gift, contact the Development Office at 412-623-4700. 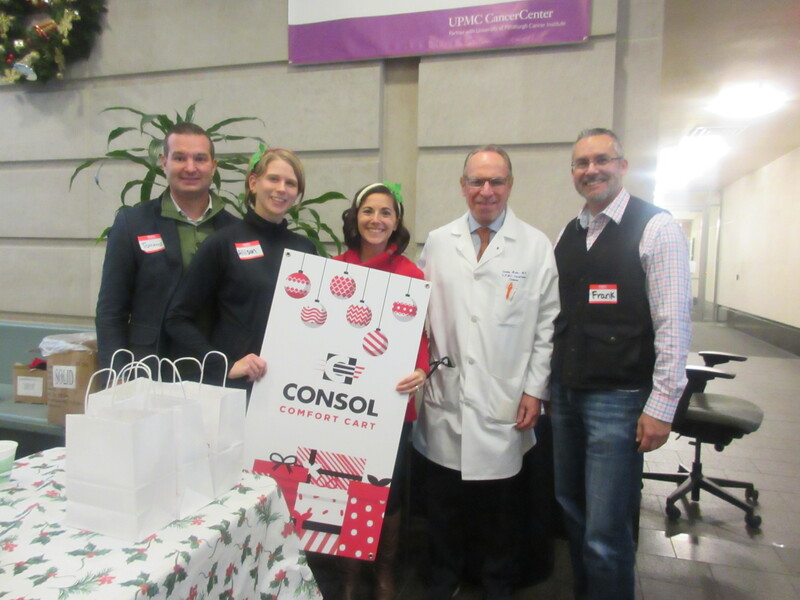 During the holiday season, CONSOL Energy staff members and executives donated their time and efforts to create a CONSOL Cares week at Hillman Cancer Center. They greeted patients and visitors on the ground floor and offered hot chocolate and cookies. Additionally, they handed out 450 goodie bags to patients to help them pass the time as they were being treated. CONSOL also generously renewed their annual donation to provide supplies for the CONSOL Comfort Cart. In honor of Reid Ruttenberg’s 81st birthday, the Ruttenberg family and American Textile covered the parking expenses for patients during the week of March 6th. 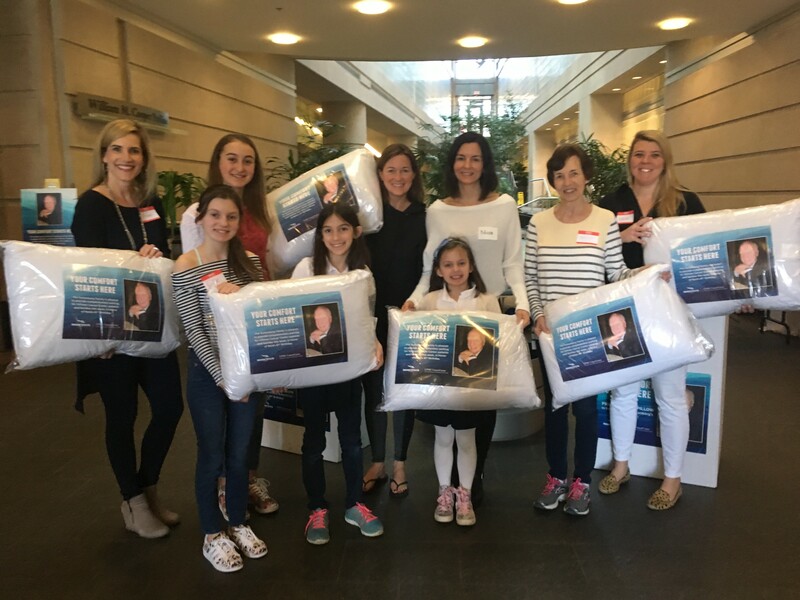 Staff members were also on hand to give away 1,500 pillows that had been donated by American Textile. They greeted patients and their visitors and were able to provide some comfort and ease to those coming through the Hillman Cancer Center. Both the patients, as well as the staff at Hillman, were grateful for the generosity shown by the Ruttenbergs and American Textile.